Belle Fourche (pronounced bell foosh) is French for “beautiful fork.” It is so named because this is the meeting place of the Redwater River, Hay Creek and Belle Fourche River. Initially, this was a popular meeting place for trappers and fur traders. However, after the gold rush, people started using the area for ranching – providing food to the miners. Once Seth Bullock convinced the railroad to build in the area, it became a major livestock trading hub. 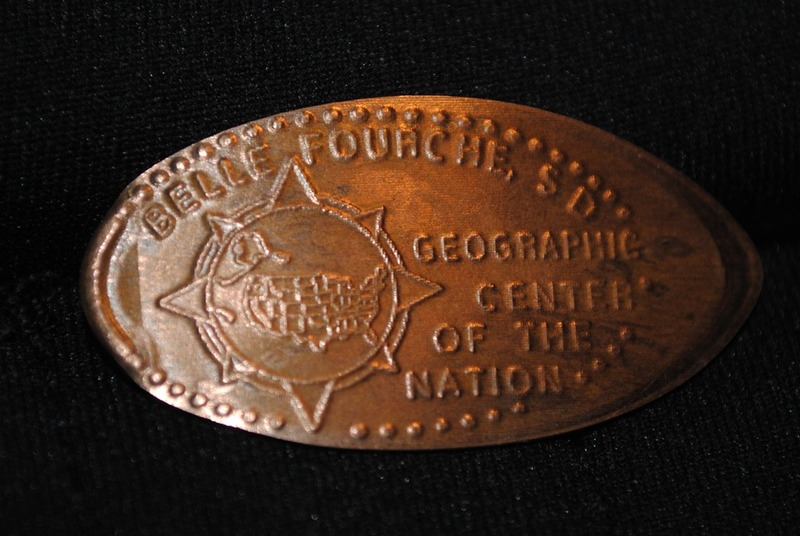 In fact, Belle Fourche was the largest livestock shipping point in the world in 1895 – with 2,500 carloads per month. 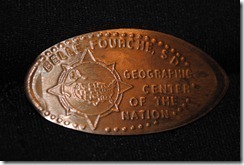 Today Belle Fourche is still important in the ranching and agriculture community. Many of the turn of the century building still exist downtown today and make for great shopping. A fabric store, coffee shops and numerous antiques stores fill the historic area. There is a fantastic 5-mile path that winds through the city. The path is a pedestrian friendly way to navigate the town and enjoy the natural beauty. Belle Fourche is home to 9 parks: Arnold Park, Eagle Park, Gay Park, Herrmann Park, Highland Park, Jones Park, Memorial Park, Rail Park and Wyler Park. Start your time in “Belle” here. The Chamber of Commerce (pictured above) has loads of maps and information about the city and surrounding area. 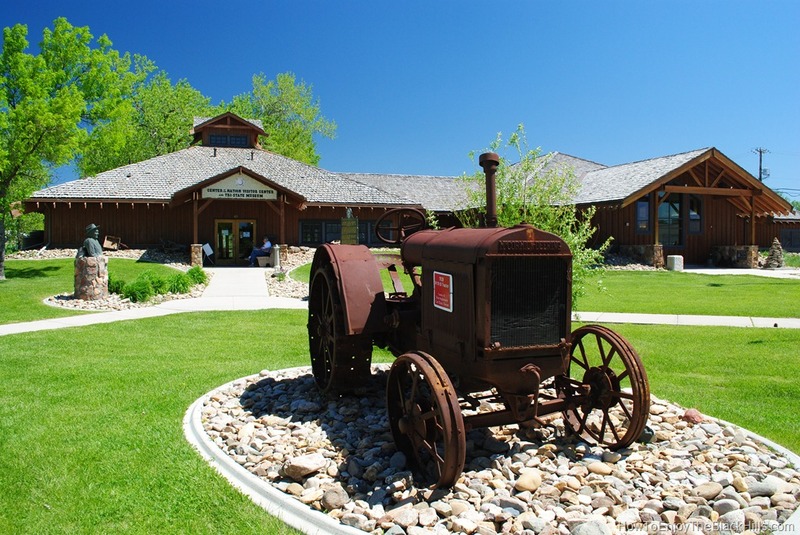 The Tri-State Museum is home to many pieces of history from Wyoming, Montana and South Dakota. Everything from military memorabilia from the Civil War through Vietnam to a historic two-story log cabin. Center of the Nation Monument is located just behind the museum. 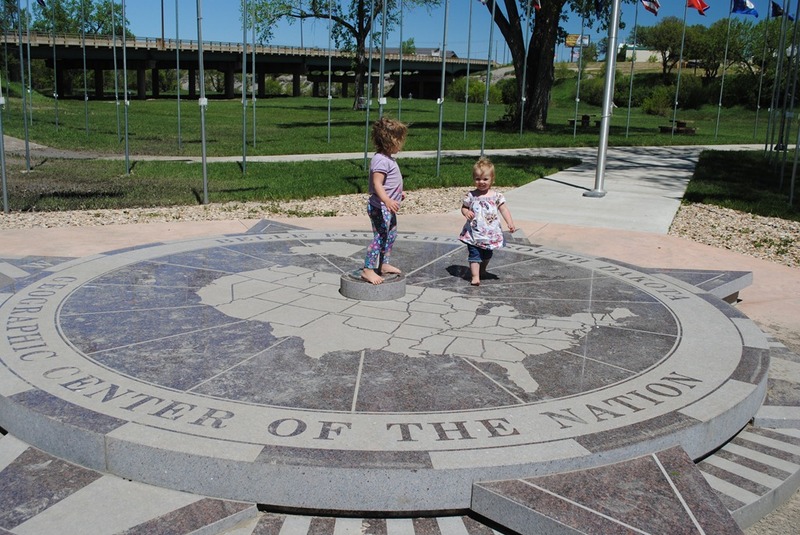 Although the actual center of the United States is 20 mile North of Belle Fourche, you’ll find a beautiful monument surrounded by flags from all 50 states. If you’re looking to get some exercise, there is disc golf course near the monument.